The long paper which gives the title to this collection and which has never before been published as paperback was initially an attempt to promote international academic understanding. The Economics Department at the London School of Economics had arranged a colloquy between two groups of Russian and British economists; and where the author asked to contribute a general survey of the present state of economic theory as taught in Western centers. 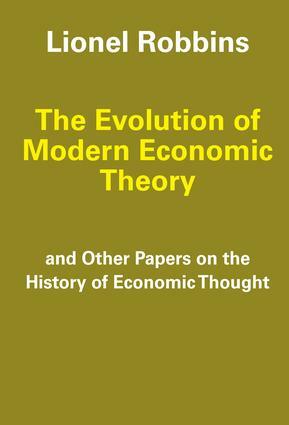 For reasons, which are explained in the opening section, the author decided to adopt an historical approach; and the notes on which the present paper is based were the result.The remainders of the papers have as their common denominator a continuing interest in the history of economic thought. Beginning with a lengthy critique of Schumpeter's magisterial History of Economic Analysis, they range from an appraisal of Bentham's continuing relevance to a review of Robertson's Lectures on Economic Principles, with some special attention to John Stuart Mill both as a human being and as an economist. They have been written at various times in the last thirty-five years; and minute scrutiny, if such were thought to be worthwhile--which of course it is not--might detect some variations of emphasis, particularly perhaps in the implicit valuations of Marshall and his contribution, in the papers on Wicksteed and Schumpeter's History respectively. But in spite of a certain shift of perspective here, the author thought it worthwhile to attempt substantial redrafting.Apart from the correction of obvious inelegances or actual errors, the excision of some duplicating quotations and, in a few cases, the addition of supplementary material and references, the papers are reproduced as originally written. In each instance the author has given footnote acknowledgements of the place of original publication.